1. Find a video on the web that you'd like to embed. You need to use a site that gives you 'Embed Code.' This is often found in the 'Share' area under the video. 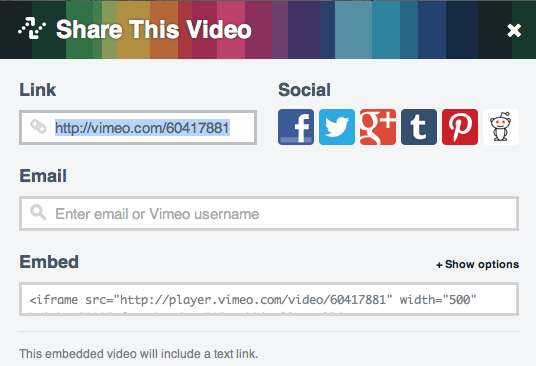 Below you will find an example from Vimeo. 2. Copy all the text in the 'Embed' box. 3. Go to your Weebly editing page and drag the 'Custom HTML' icon where you want the video to appear. 4. Paste the embed text into the 'Custom HTML' area. Voila! Your video should appear.